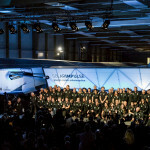 At a press conference today in Payerne, Switzerland, Solar Impulse unveiled its second solar-powered airplane, Solar Impulse 2. 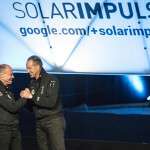 The Solar Impulse project, launched by Bertrand Piccard and André Borschberg, has set itself the goal of circumnavigating the globe in an airplane powered day and night using nothing but solar energy by 2015. 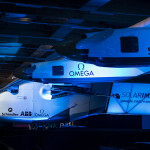 OMEGA has an active role as one of Solar Impulse’s Main Partners, providing both capital support and key technology to a venture that will contribute to the scientific and ecological development of alternative means of sustainable energy. 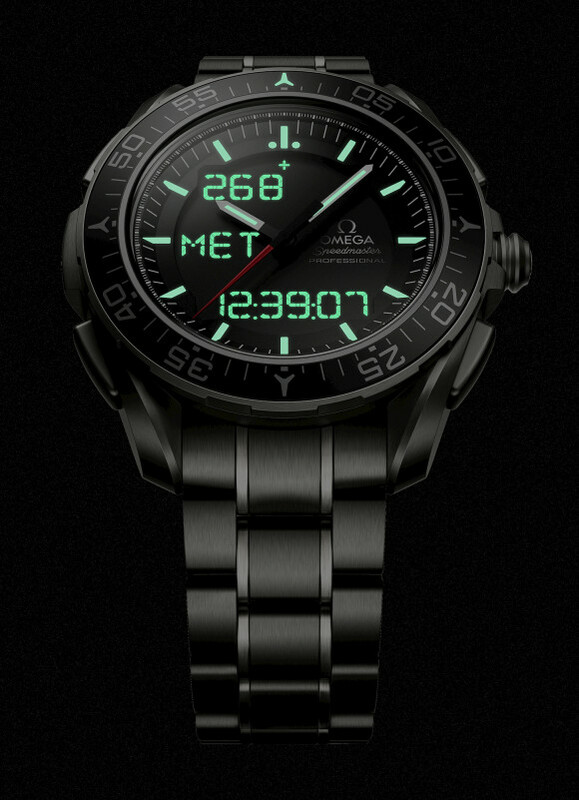 OMEGA’s significant contributions will continue to be an integral part in the Solar Impulse Project’s success in the coming years. Solar Impulse 2 has been built to meet the challenge of becoming the first plane to circle the globe using the sun as its only source of energy. The first test flights of this new airplane are scheduled to begin in May in Switzerland. It involves several new and improved technologies developed by OMEGA which have been introduced to make the airplane more energy efficient. These enhancements includes a lighter, more efficient landing light system, an upgraded, lightweight version of the OMEGA Instrument and an energy dispatcher which transfers energy from one engine to another in the event one experiences an energy deficiency. 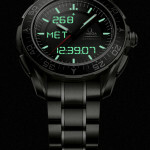 OMEGA has also offered lighter electronics inside the plane’s dashboard. The OMEGA Instrument, designed by Swiss aeronautics legend and ESA Astronaut, Claude Nicollier, indicates the degree of inclination of the airplane and can be read easily by the pilot. The indications are highly visible but there are also vibrating alarm devices in the sleeves of the flight suits which will ensure that the pilot will react in a timely fashion to the critical information provided by the instrument. 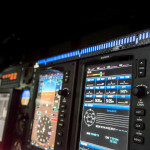 For the Solar Impulse 2, OMEGA has introduced an energy dispatcher that ensures that if one of the four Solar Impulse engines experiences a problem, energy can be rebalanced between them by transferring energy from the battery of the deficient engine to the battery of the operative engine. 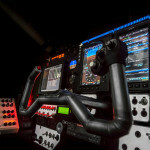 And the new DC/DC Cockpit offers a dramatic change in the weight of the electronics inside the dashboard, making them 50 percent lighter. 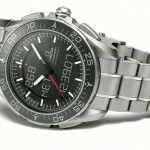 OMEGA was also responsible for a lightweight landing light system which weighs an astonishing three grams per watt. On each wing is a set of LED landing lights whose brightness is amplified by a correlation lens. Each landing light consumes only 10 watts but its light intensity is equivalent to a 200-watt incandescent light bulb. Additional sets of “promotional” lights are positioned along each wing. This entry was posted in Press Release, Speedmaster Professional and tagged 318.90.45.79.01.001, Skywalker, X-33 on April 9, 2014 by Dale Vito.